It takes time and a lot of practice for children to learn to do a good job of brushing their teeth. Young children often lack the coordination needed to do a thorough job. Parents need to help young kids with brushing until they are able to do it themselves. Even with a lot of practice, kids can rush or be distracted while brushing and may not remove all of the plaque and food from their teeth. They may not even realize they missed spots because food particles and plaque can be difficult to see. You can help your child see where his or her brushing needs improvement by using plaque-disclosing tablets or solution. These are dyes that stick to plaque on the teeth and turn it another color, such as pink or blue, so it is easy to see. This makes it possible to know exactly where more attention needs to be focused when brushing. Using plaque-disclosing tablets or solution regularly can let your child see where food and plaque tend to accumulate and to be overlooked when brushing .This is especially likely to occur in areas between teeth. Once the areas that have been missed are visible, your child can brush again to get rid of the food and plaque. Plaque-disclosing tablets or solutions can motivate your child to do a better job brushing. By making the plaque a bright color, kids can try harder to remove all of it. Brushing can be turned into a fun game for the whole family. You can compete against each other to see who can get the cleanest teeth. Plaque-disclosing tablets and solutions are easy to find. They are sold at many pharmacies and online. Brushing twice a day is essential for good oral health. By highlighting areas that are missed, you can improve your child’s oral hygiene and reduce the chance of getting cavities. 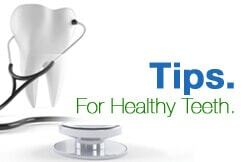 Your child still needs to visit the dentist for exams and cleanings. A cleaning can remove plaque in hard-to-reach places, and an exam can allow the dentist to identify any problems. If your child is due for an exam and cleaning, schedule an appointment at CT Pediatric Dentistry today.